Compatibility: Fits up to 39.62 cm (15.6″) laptops. Gym, work, activities—when your day keeps you moving, durability becomes crucial. 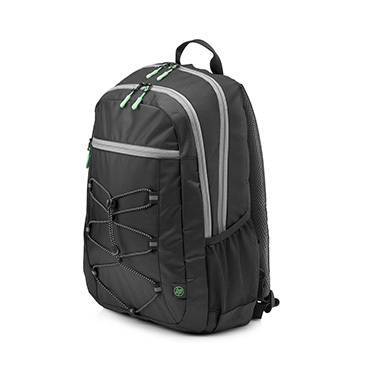 This backpack features a padded compartment that fits any laptop up to 39.62 cm (15.6”) diagonal and water-resistant coating to help keep your electronics safe. Comfortably stay on-the-go with breathable shoulder straps and pockets to store everything your day calls for. Safeguard your laptop with a padded compartment that fits any device up to 39.62 cm (15.6″) diagonal. Fits up to 39.62 cm (15.6″) laptops.